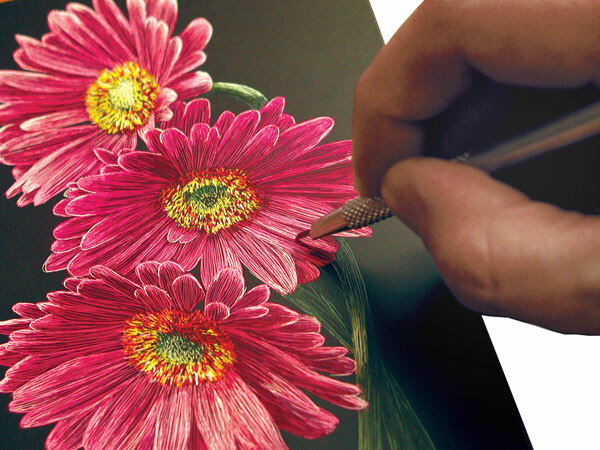 Scratchbord has a smooth, absorbent kaolin clay ground that is evenly coated with India ink. Scratch easily with controlled, crisp, clean lines to create exquisitely detailed white-on-black art. Scratchbord is acid-free and archival. ™ Ampersand is a trademark.™ Scratchbord is a tradmark. ™ Archiva-seal is a trademark.